The vast majority of ultraportable laptops available in the last years have been built on Intel Core U hardware-platforms, with options for dual-core processors with or without HyperThreading. And while the Kaby Lake hardware generation provides solid performance for everyday tasks like browsing and editing texts and watching movies, especially when paired with the right amount of RAM and the fast SSDs available these days, there’s still only that much a dual-core CPU can do in terms of multitasking and intense multi-core loads. This changes as of Q3 2017 with the introduction of the Intel KabyLake-R (Refresh) line which includes Intel’s first low-voltage quad-core processors. These are part of Intel’s 8th generation of chips, thus their denomination gets an 8 after the dash, but they are in fact a revised version of the Kaby Lake architecture and not the Coffee Lake or the Cannon Lake platforms, which are scheduled for the future (2018) and we’ll address in different articles when available. 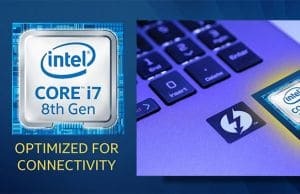 Update: As of the second part of 2018 Intel offers an updated Core U platform, Whiskey Lake-U, and you can find all about it from this detailed article. 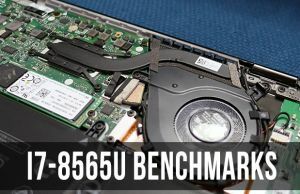 We’re not going to get in depth on the performance of these quad-core Core U notebook-processors in this post, will save that for other articles (here’s the one that covers the Core i5-8250U, with more updates to come). We will however mention below the CPUs that are part of the Intel KabyLake-R 8th gen series and their particularities, and then jump to the main topic of the article, the list of Core U quad-core ultraportable laptops you will be able to find in stores in the months to come. 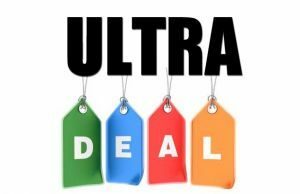 Core i7-8650U – 1.9 GHz base clock with up to 4.2 GHz Turbo, HyperThreading, 8MB L3 cache – $409. They share a few common traits, like the 15 W TDP, 14 nm lithography, support for up to 32 GB of DDR4 memory and the Intel UHD 620 graphics chip integrated within the die. The increased number of cores is the strong selling point here, while the graphics inside is similar to the HD 620 solution on the standard KabyLake dual-core options, just capable of running a little faster. 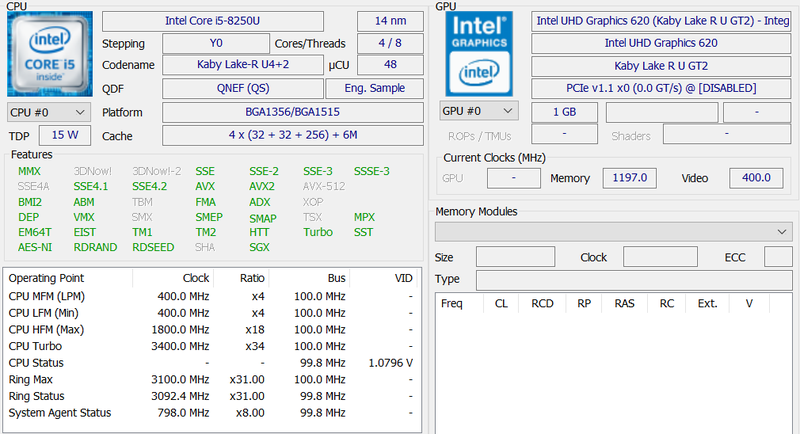 You will however notice that the base clocks of these quad-core CPUs are much lower than those of the existing dual-core Kaby Lake processors, but that’s compensated by the high Turbo speeds, so performance per core is pretty much on par with the Core i5-7200U or i7-7500U, which means multi-core performance gets a major boost with these new lines. We already spent some time with laptops built on this platform and can confirm the fact that the quad-cores show 30 to 60% gains in benchmarks and certain demanding loads, and you’ll find more details in our reviews. Price wise the quad-core 8th generation KabyLake-R CPUs are only marginally more expensive than the 7th gen KabyLake dual-cores ($281 for i5-7200U vs $297 for i5-8250U; $393 for i7-7500U vs $403 for i7-8550U), so the newer configurations won’t cost an arm and a leg. 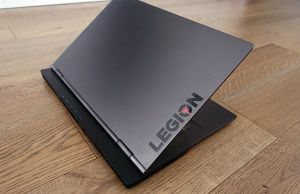 There are however two important questions that remain to be answered in future reviews, and that’s how will these quad-cores perform thermally and acoustically in thin-and-light laptops that were already running pretty hot with dual-core builds, as well as whether they’ll be able to consistently maintain their high Turbo Speeds in continuous loads. Stay around for details in our future tests. Knowing all these about the 8th gen KabyLake-R platform, let’s jump to the actual list of laptops built on these quad-core ULVs, available below. Details are still scarce for now, but the list is a continuous work in progress and we’re constantly updating it. If you spot anything that’s not in here and should be, please tell us about it in the comments section at the end. The selection is split in two sections, one of the ultraportable options with 14-inch or smaller screens, and another of full-size 15-inch or larger laptops. And here’s the second part that includes full-size laptops. These are mostly budget options that mix solid everyday performance with efficiency, so for most users should make for excellent allround notebooks. 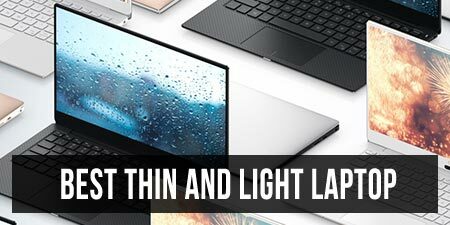 That’s about it for now with this list of Intel 8th gen laptops, but like I said earlier, we’re constantly updating this list and adding new ultraportble laptops built on Intel KabyLake-R / Coffee Lake quad-core Core U processors. The comments section below is also open for any suggestions and questions, and we’re around to help out if we can. This article is so confusing that I feel that I don't understand a thing, anymore! First, you list 4 processors with their prices, but the list is weird: the more powerful i7 models with 8 Mb L3 cache are cheaper (297 USD) than the weaker i5 models with only 6 Mb of L3 cache (409 USD). Are you sure it's not the opposite? 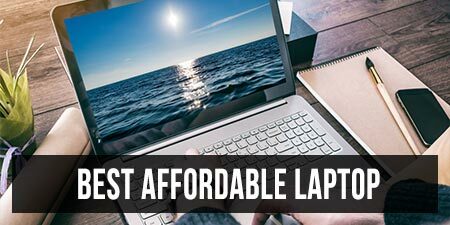 Next, the table of laptops that you have compiled contains two links to reviews of already existing laptops with Kaby Lake (not Coffee Lake) processors. Also, the Dell XPS 13 9360 is almost one year old and, in general, most of the laptops in that table are NOT based on Coffee Lake, but on Kaby Lake, and are NOT quad-core but double-core – so what exactly is this article trying to say? I'm totally lost! 2. About the links,they point towards older articles because most of those were available with dual-core processors in the past (Dell XPS 9360, Asus Zenbook UX430, Hp Specte x360, etc), when we reviewed them, and versions with the quad-cores at some point in the future. However, except for the hardware, those versions linked are identical tot he ones with the newer hardware. Still, I'll remove the links to not cause any more confusion. okay that for the low TDP, so how about the high TDP like HQ processor coffe lake ? any news about that ? We should know more next week, but as far as I understand right now, KabyLake-R will only get 15 W TDP CPUs and the higher W quad-cores are to be updated with Cannonlake towards the end of the year or early into 2018. The Acer Swift 3 with a i5-8250u and MX150 is already on Amazon (not shipping) but doesn't appear on your list. How fast is HP normally with refreshing their line up with the newest Intel releases? I'm asking because I just got a Spectre X360 13.3" 4k (which was released in February 2017 I believe)? If a Quad Core model if this laptop is to be expected within a few weeks I might be better off returning it and waiting for the new release. Honestly, I can't tell and it's going to differ from country to country. KabyLake-R is expected to ship in Q4 in most regions, so I'd reckon beginning of October. Where do you get your information for example that the HP Spectre x360 13 will be upgraded with the new quad core chips? Such info seems unavailable anywhere else but on your list. How much performance difference we can expect between kaby lake and coffee lake processors. Also is there any difference in the power consumption department too? Since in my country we ONLY NOW started to receive UX430UA (ugly glossy blue, which is a certain deal breaker), I hardly imagine S406UA can appear here with non-blue case and US-keyboard somewhere nearby this year. Besides, DELL can delay shipping XPS13-9370 for inifinity, as usual, so I just don't see any rivals to present X1 gen5 i7-7500u. Thanks, there's also just a 39 Wh battery on that laptop, that's really small for this day and age, I doubt you'll get more than 4 hours of real-life multitasking with it. Not a big fan of the NIL-coated blue UX430 either. Still, the i5-8250 is very interesting, I've been playing with two different laptops built on it and personally. I wouldn't recommend an i7-7500U over this, especially if you actually need the multitasking abilities of a quad-core. with daily tasks you're not going to feel the difference, but with demanding loads even the i5-8250U is a serious bump over the i7-7500U. Could you please tell me at least your opinion, is it worth waiting for KabyLake Refresh, in terms of heat/noise (in comparison with x1c 7500u)? How long TurboBoost can maintain top frequencies in KBR ultrabooks? Does the fan spin all the time, or stops in idle? And about Zenbook UX331, since you have it for review, does it have the same look and feel as UX330, or any differences (e.g. worse materials, odd noise, coil whine maybe)? I'd say yes. The two laptops I have with the i5-8250U don't run any hotter then the dual-core similar builds. Fan spins all the time with the two laptops I have, but that might differ from device to device. No coil whining, but again that's going to differ. HP is listing a 15" Spectre x360 with the 8550U shipping sep 9 if ordered today. Thanks, that's a nice addition, one of the most interesting offers on the list with that big battery and very nice build. I would have preferred a FHD screen configuration, the UHD has its benefits, but it's also expensive and power hungry. Hi, any links to UX331 and 430UAR? I don't know where I've read about the 430 model, and the UX331 is something I'm working on right now. Expect an impressions article in a week or so. Thanks everyone. I've updated the list, if you spot anything else that's missing, please get in touch. I wanted to buy xps 9560 for photo and 4k video editing, but now I wonder if I should wait. I don't think they'll update the XPS 15 with the existing 15 W quad-cores, but an update will happen once the 45W Coffee Lake CPUs are released. Since KabyLake U series CPUs cannot TurboBoost at the highest frequency for a long time with TDP lock, I wonder whether the KabyLake-R U-series CPUs would have much better performance when you usu it for a long time. There are 4 core for incoming CPUs are the TDP are still 15TDP, would it be large differnece between benchmark and real life experience? If it would increase 30-60% performace in both single-core and multi-core, i have better wait for a while to buy new laptop! Asus UX331UN listed on Geekbench. Most likely an MX150 given the UN nomenclature. 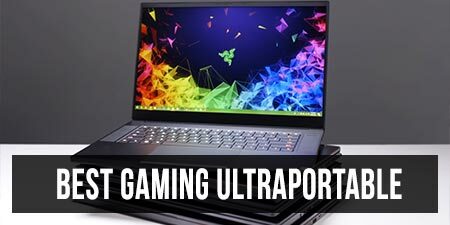 No 17" UHD laptops in the list yet, which is what I want for a gaming laptop. How about some indication of which video card will do best? Can we game with the GPU built into the chip? Not really, the GPU built=in is the Intel HD 620. I'd go for at least an Nvidia MX150 for fhd gaming, preferably even a GTX 1050. Dell's entire 5000 and 7000 lineups will be refreshed with Kaby lake-r according to notebookcheck. Thanks for this topic btw. Insanely useful. Nothing to see here phones having been getting quad core chips for ages lol. Will any of these have increased TDP? I understand that some Lenovo Thinkpads currently ship laptops with raised 25 watt ULV processors. Do you think the UHD screen on the ux561ud is PenTile? Also, would battery life of 52Whr be decent with a 1050 in regular use? Thanks! Probably yes. For battery life, expect about 10-14W per hour of daily use, more with heavier multitasking. Do you know the release date for any of the Asus laptops? Most of the laptops in this list should be available from mid-September, early October. Samsung has announced they'll be updating their Notebook convertible in September, but haven't released any more details yet. I'm hoping they put a Thunderbolt 3 port on it. You probably forgot Asus Zenbook UX331UN which will have MX150 and Kaby Lake R processors. seems Xiaomi just announced their new 15.6" Mi Notebook Pro with i7-8550U processor and Nvidia MX150. Costco also has an HP Pavilion that is not listed. It is not on their website, but it is in the store. I5-8250U, 12GB of ram, 1TB HD. Priced at $550. If I had the money I would buy it. I have some pictures of it, so feel free to email me! HI Jacob, any info on the model name? I can't even access costo.com in my country, somehow they seem to have banned traffic from my ISP. Update: i'd reckon it's this one? slickdeals.net/f/10556548-hp-pavilion-15-cc123cl-touchscreen-laptop-intel-core-i5-8th-gen-for-550 . Careful on that screen, it's TN and really bad for this day and age. I've seen a 17" Envy floating around with similar specs. Yes! It is on their website now. Sorry for just replying back. I've just got to gush a bit and say the work you do is purely phenomenal. 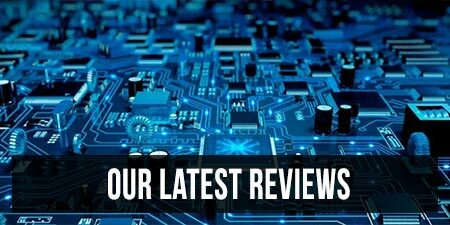 Not only are your reviews digestible, they are extremely comprehensive. I appreciate the time you put into each review to notice all the quirks and features of a laptop. For instance, you catch details about the metal chassis not lieing flush with the edges of the body. Wow! Furthermore, I see your opinion embedded in the reviews too. Thank you so much for the warning about the screen. Not many people would do that, helping out some random Joe Smoe for no monetary benefit. I will always recommend your website. At the costco waerhouse it said it was an SVGA screen or something like that. I thought that landed in the middlegrounds of a TN and an IPS. Anyway, I still think that laptop for $550 is the best bang for the buck when I am not looking at ultrabooks. Recently I have begun to consider the $600-$800 dollar price range however, so I am beginning to look for ultrabooks with 8th gen i5. I cannot wait for black Friday deals! From my understanding, I should wait until then to buy a laptop. Keep doing what you doing bro. Lenovo seems to be offering their Ideapad 520s with Kaby Lake R.
Newegg and Amazon both have Clevo N240WU variants sporting an i7-8550U as well. The 15.6" Acer Swift 3 SF315-51G-51CE with the MX150 popped up at Newegg today for $799. They're selling the iGPU version for more, for some reason though. The ASUS Zenbook UX430UN is available at Costco.com for $1200. Includes i7-8550U Processor 1.8GHz. That is brilliant news, almost can’t believe it. I mean UX430UN with i7-8550U! The official Asus website only shows 430UN with i7-7500U. I was actually hoping that Asus will introduce this version in the last minute. Hope Costco is right. Do you think I should wait for Black Friday deals on 11/24? It's on the Asus Global site as well. 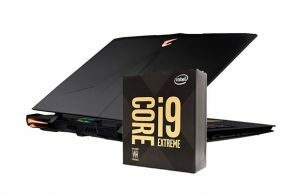 there is definitely no intel 8th Gen on this model as presented on Asus global website. You're not looking in the right place. Do a Google search for specific models such as the UX331UN, UX461UN, and so forth. They're there. I found them on Asus Global before I found them anywhere else, including Asus US. I can't find the KabyLake-R quads listed for the UX331UN on Asus's website either. Care to provide a link if you found one? Doing a Google search Asus UX331UN gives me Asus Global for the very first link with the 8th gen version. They've been there since August 30th. Thanks, sry, I actually meant the UX430UN, that's the one that's only listed with dual-cores right now. Great to hear! Thanks for letting me know! The UX430UN's webpage is screwed up somehow. Clicking on the specs in your link pulls up specs for the UX390UA. Not sure why. Most of the KBR Zenbooks I've seen have model numbers ending in 1. Not sure if that's a change from least year or not. Ok guys, here's a mystery to figure out. I found the link when doing my daily search for the 8250u at Micro Center, one of my local big box PC stores. Not sure what this as it's not listed in stock, and it just popped up yesterday. All we can tell is that it has a 14" with an 8250u, 256 GB SSD, and 8 GB RAM. Not sure if it's an already announced model or something new. You are correct, sir. The full product info is now up. Any idea how big the battery is? It's weight seems nice. Looks nice too. Also, Acer's 15.6" Spin 5 with an 8550u, 8GB and Nvidia 1050 – but not SSD – is now at Amazon for $999. Do you know if this model is compatible with windows ink & stylus pens? Newegg is showing the 15.6" Asus Vivobook S510 with an 8550u, MX150, 8 GB RAM, 256 GB SATA SSD (not sure if it's NVMe capable or not – all options on Asus.com are SATA only) and a 1 TB HD coming up for $899. Release date is set for 10/20, so we may start officially seeing other new Asus ultrabooks pop up (outside of Costco). This could be a pretty nice package at .7" and less than 4 lbs – especially if the RAM and SSD are upgradeable later. Yeah maybe for a 15". My current one has a 45Wh for a 13", so it's not that much different. Considering my beast is lucky to last about 2 hours, anything over 5-6 hours will work for me. Busy day – more models are popping up over at Newegg, with some KBL-R UQ Zenbooks popping up for mid-November and Black Friday here in the US (11/24). You might as well spend the extra $100 and get this with double the ram, double the SSD, and 8th gen i7. I think it is lighter too! 14" Lenovo Flex 5 with an 8250u, 8 GB RAM, 256 GB PCIe SSD, and iGPU popped up at Micro Center this morning for $849. Is this product page accurate? costco.com/ASUS-ZenBook-UX430UN-Laptop—Intel-Core-i7—2GB-NVIDIA-Graphics–1080p-.product.100375043.html it shows that the coffee lake UX430UN comes with an MX150, I haven't seen anything like this on Asus' official website. Well, Costco put it in their add too. I firmly believe it is, for Costco had the hp pavilion 8th gen before hp listed it. According to the add, the deal on the laptop goes from 10/26 to 11/22. It's only $999.99, what a bargain! I think I will buy it. I wonder if I should just wait until Black Friday though…anyone have any advice? Love this page – just wish they'd update it to include newer models like the new Lenovo x1 Carbon. I ordered this UX430UN machine from Costco. While Costco is selling it as a UX430UN, mine reports as a UX430UNR – not sure what the difference is. It is the i7-8550U, 16gb RAM, 500GB SATA SSD (not NVMe, for cost reasons I guess), an excellent 14" 1080p IPS display with the nVidia MX150. All for $999US. The Passmark scores I got were better than expected. CPU is 9549, 3D Mark (GPU) is 1807. That makes it about 50% faster than last years 15w i7 CPU and double the performance of an Intel HD620 iGPU. As to gaming on it – I'm playing Forza demo on it – not an xbox One X, but pretty amazing for a 2.7lb laptop. First impressions – some minor issues, so not perfect, but pretty amazing. I'm thinking of doing a YouTube review of it. Anyone interested in seeing that? I totally am! I one the one from Costco as well. Hi. Great review on Asus Ux331. I'm actually pondering between asus ux331 and hp envy 13 (both with almost the same configuration: i7-8550, mx150 and 16 Gb ram and 512gb SSD). What is your take as I have difficulty choosing which one to buy. Haven't got my hands on the Envy and probably never will, as these are not available in this part of the world. You should try to find some proper reviews that speak about its performance. The CPU runs well on the UX331, but the MX150 is down-clocked MX150 and slower than you'd normally expect from an MX150. Not sure how the Envy compares, but if gaming matters to you, I'd look closely into this matter. What a pity that you are unable to get your hands on the Envy and to do a comprehensive review on it. I am not a heavy gamer however I would like to have a laptop with discrete graphics card just in case I might need it in the future. In general, which brand will be a better choice in terms of build quality as I hope the laptop will be able to last as long as possible. I'd dare say that if serious gaming truly matters, that an ultrabook probably isn't the right choice. There are some thinner gaming notebooks out there with real graphics cards, such as the MSI GS series and I know Auros and Razer make some as well. I'm really curious to see what MSI does with the GS series once CFL-H procs ship. 14" Lenovo IdeaPad 720S with 8250u, MX150, 8 GB, 256 GB PCIe, IPS screen, and Thunderbolt 3 port popped up at Micro Center earlier this week, starting at $799. RAM appears to be upgradeable based on reviews of the KBL version. For the price range, this one's looking like the one to beat. It even seems to beat out Asus's "value ultrabook" for $750, if someone doesn't mind an extra pound. Anyway, I think it should be listed here. Many people might want it. It's in the list. Keep in mind you'd also have to accept the TN screen. For $500, this is a pretty solid laptop, but if you're willing to spend $600 you can get the Aspire 5 instead . How come the 14” Asus Zenbook (ux430) has been renewed with Intel 8th gen cores and nVidia mx150, but the larger 15.6” model of the same Asus Zenbook (ux530) has not gotten them (yet?). I see that the 14” and 15.6” of the Vivobook S both have gotten the new chips, so why cant both of the zenboooks? I don't understand either. I've been waiting for them to announce this device but they keep not doing it, even though it seems only logical. I can't wait to buy the UD version, with 8th gen i7 and a GTX 1050, but it seems it'll never come. If it's not announced by the new year I'm getting the Xiaomi Mi Notebook Pro I guess. Hi Andrei. I just saw that Asus announced a UX410UF with 8th gen i5/i7 It's not really clear on the what a GPU is, they just say it has 2GB DDR5. Since the MX150 is called the UN it seems that it will either be another version of the MX150, or another GPU altogether. I'd reckon an MX130. UFs in the past came with 930M, so a successor for that, which would be the MX130. Don't buy any Asus UX4*** their fans make a lot of annoying noise all the time!!! I had one of them and returned to Bestbuy. This site continues to be among the most informative. Thanks for all your efforts. Any news on what's coming up for 2018, particularly in the Lenovo Thinkpad X Carbon? Not for the moment. Lenovo usually launch their new series at CES in early January, but we should know more by then.